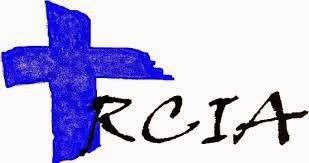 Rite of Christian Initiation of Adults (RCIA) is the process for unbaptized or baptized Christian adults who are interested in becoming Catholic, learning more about the faith, or becoming in full communion with the Catholic Church. For more information, call the Rectory at 936-4935. Prior to beginning the RCIA process, an individual comes to some knowledge of Jesus Christ, considers his or her relationship with Jesus Christ and is usually attracted in some way to the Catholic Church. This period is known as the Period of Evangelization and Precatechumenate. For some, this process involves a long period of searching; for others, a shorter time. Often, contact with people of faith and a personal faith experience lead people to inquire about the Catholic Church. After a conversation with a priest, or RCIA director, the person, known as an "inquirer," may seek acceptance into the Order of Catechumens, through the Rite of Acceptance. During this Rite, the inquirer stands amidst the parish community and states that he or she wants to become a baptized member of the Catholic Church. The parish assembly affirms this desire and the inquirer becomes a "catechumen." During this time, the catechumens consider what God is saying to them in the Scriptures, what changes in their life they need to make to respond to God's inspiration, and what Baptism in the Catholic Church means. When a catechumen believes he/she is ready to make a faith commitment to Jesus in the Catholic Church, the next step is the request for baptism and the celebration of the Rite of Election. Even before the catechumens are baptized, they have a special relationship to the Church. The Celebration of the Sacraments of Initiation takes place during the Easter Vigil Liturgy on Holy Saturday when the catechumen receives the sacraments of Baptism, Confirmation and Holy Eucharist. Now the person is fully initiated into the Catholic Church.